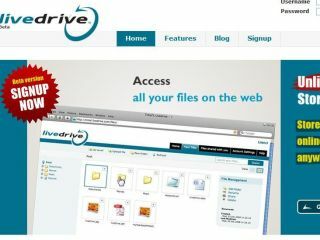 Livedrive.com offers users a simple, no-fuss way of creating an online back-up of their files and data. Livedrive claims to offer a better service than the likes of giants such as BT, Microsoft and HP, to those users that want to create secure copies of files accessible from any device online. Livedrive CEO Andrew Michael said: "People want to see the same files on all their computers. They want to be able to access their files from their phone, PDA and the web. And they want to know that if they lose their computer or it fails they don't lose all their files as well." Livedrive is the first product of its type to offer unlimited storage, allowing users to access the storage via an 'L:' drive-letter on their computer – that works in the same way as a normal hard drive or USB drive. Andrew Michael commented: "Other products try to change the way you work. With Livedrive, you can work the same way you always have done. The technology to do that is complicated: Google have been trying for years to get a product working. We are the first to market with an online storage service that actually works the way people want it to. "There is no doubt that storage is going this way. In the future, people won't store files on each separate device. People will have lots of different devices and will store all their data in the cloud, so that it's safe, looked after and immediately accessible on any of their devices. "It is now increasingly common for households to have more than one computer as well as other handheld devices that are capable of doing jobs like viewing photos, editing work documents and so on. They don't want their files all over the place; they want them all in one place." Livedrive cannot decrypt your files without your password. Interested? Check out the free Livedrive beta trial here.